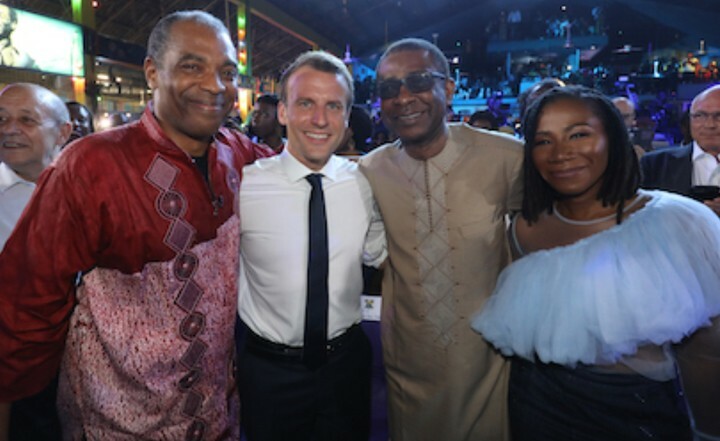 France President Emmanuel Macron pose like the legendary Nigerian icon Fela Kuti after the world cup victory. The picture has sparked debates online as regards his controversial hand victory sign, which bares a resemblance to the legendary Fela Kuti. 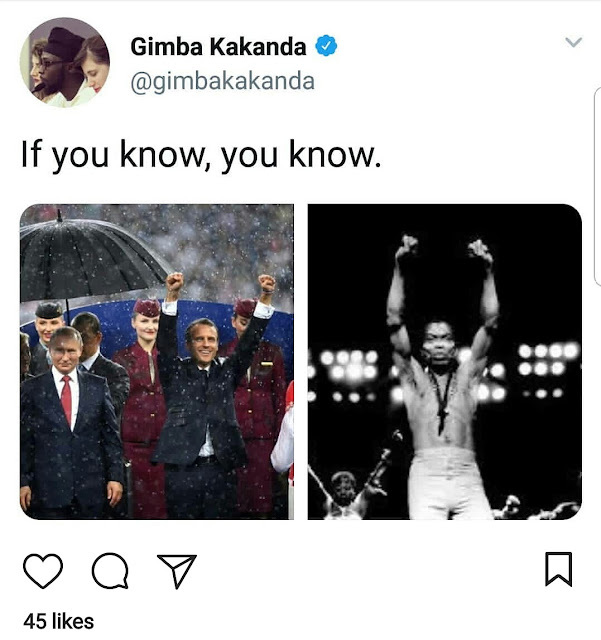 So many internet users , wonders if his visit to the Fela shrine contributed in the France vs Croatia win, which resulted into a 4-2 . 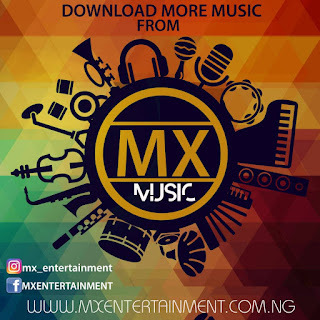 0 Response to "Emmanuel Macron Posed Like Fela Kuti After World Cup (Photos) "